Jordan Brand continues to release “cool grey” editions of their shoe. This May, another one is set to hit the market with the release of the Air Jordan 12 and Air Jordan 12 GS. 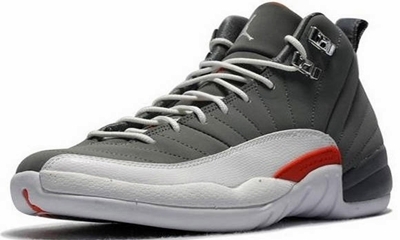 The Air Jordan 12 will be released both in adult and GS size in Cool Grey/Total Orange-White on May 19, 2012. The silhouette features a cool grey upper accented with orange touches, which looks good despite a contrasting combination with the more dominant cool grey touches. Watch for it and make sure to grab one!